See a program you love? and make a huge difference for the park. Make a donation in support of a program today! As part of our field management in Cataloochee, fields are mown once a year to preserve the historical landscape. Mowing is conducted in August to provide better summer habitat for elk. As a part of our grassland management and restoration efforts in Cades Cove, fields are kept open by several methods to help provide varied habitats for turkey, coyote, fox, rabbit, deer, bear, ground-nesting birds such as quail. Some fields are mowed after nesting season, while others are burned, plowed, and harvested in the gradual process to restore much of the Cove to native meadow habitat. These funds support our viewshed mowing that both keep the fields open and provide vistas into the grassland communities. As mentioned above, prescribed fire is an important part of the integrated grassland management and restoration efforts at Cades Cove. The use of prescribed fire in designated units will reduce exotic plant species, encourage the establishment and spread of native forbs and grasses, and reduce woody encroachment into fields. There are smaller patches of land at Cades Cove that are not effectively treated with prescribed fire. This project uses mowers and large masticators which effectively reduce the heavy woody debris that has accumulated in certain units. The ultimate goal of the project is to restore the establishment of native forbs and grasses in these areas to a point where they can be maintained with prescribed fire. Each backcountry campsite and shelter has a pulley and cable system which campers are required to use to hoist their food and packs out of the reach of bears for the increased safety of both visitors and bears. Each year a number of these systems are damaged through use or by falling trees and must be replaced. 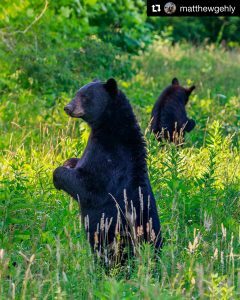 Each year a number of orphaned or injured park bears are treated and housed in the nonprofit ABR center in Townsend until they can be released back into the park. Prior to the creation of ABR, most of these animals were euthanized. These funds will enable wildlife biologists to refurbish and pay annual fees for 3 GPS radio collars, collar detachment mechanisms, and battery replacements. These collars will be used when DNA analysis is needed to track bears suspected of a bear attack or other significant human/bear interaction while park staff wait on confirmation of matches between the attack and the suspect bear. These funds will allow us to purchase immobilization drugs, tags, GPS collars, aversive conditioning supplies, and capture equipment. These monies will also help us support staffing needs to repair exclosures and other work activities associated with the elk program. This works helps us better manage elk populations and model population survival and reproduction rates. Since 1962, the balsam woolly adelgid, an exotic predatory European insect, has killed 91% of the park’s naturally-occurring stands of high-elevation Fraser firs. The park and UT planted 600 seedlings at the Appalachian Highlands Science Learning Center at Purchase Knob in 1995. While some of these trees have been attacked by the balsam woolly adelgid, they are treated annually with sprays and pesticides to preserve samples of the trees’ genetic material, which is important for species preservation. Park staff is hopeful that these will assist in future repopulation of firs. Since 2003, Friends of the Smokies has had a leadership role in supporting the most ambitious program in the Southeast aimed at protecting hemlocks from the invasive and deadly hemlock woolly adelgid. The park is now leading control efforts on this forest pest. To date, more than 280,000 individual hemlock trees have been hand-treated. On average, the park has been able to retreat about 30,000 trees each year. In addition, more than 5,000 acres of hemlock-dominated forest have been set aside as special conservation areas. Protection includes a combination of soap spraying in the front country, systemic pesticides in more remote areas and biological control. Since biological control began, the park has released over 570,000 predator beetles as part of the overall landscape control effort. And the park is now treating more trees using systemic treatments. Through monitoring, they’ve determined that a single systemic treatment that costs 15 cents per inch diameter can protect a tree for up to seven years, saving the park money. Emerald Ash Borer, a non-native wood boring beetle that feeds on both species of ash trees in the park, has been confirmed along the Gatlinburg Trail, Greenbrier Road, Roaring Fork Motor Nature Trail, Little River Road, Cades Cove and along the northeast boundary of the park. This proposal is for systemic treatment of ash trees in developed areas (campgrounds, picnic areas, parking areas) to prevent hazard tree danger and to treat high ecological value backcountry ash. Some of the trees under threat from EAB exceed 30 inches in diameter and are in good to excellent health. Without treatment trees often die within three years of first signs of infestation, creating hazard trees along roads, in campgrounds, picnic areas and along popular trails. Based on operations over the last two years, this is the average annual utility costs for this facility, to include water, sewer, and electricity. The park conducted several fuel reduction projects along boundary areas from 1997 through 2003 including prescribed burning and mechanical fuel reductions. This project will allow the park to contract with a fire crew to reduce the accumulated fuels and create defensible space adjacent to the park boundary in areas like Ski Mountain. Crews will reduce heavy accumulations of dead wood and brush on the park boundary areas adjacent to homes and rental chalets. Each year the staff responsible for maintaining the park’s library, archives and cultural museum collections responds to approximately 300 research requests for use of the park’s extensive collection of park documents, maps and photographs. This collection continues to grow as park management records are added to the collection and through donations. To be properly archived these materials need to be processed (arranged, finding aides created, and accessioned) by staff and housed in archival folders and boxes. These archival quality housing materials must also be periodically replaced when they lose their capacity to buffer the acidic papers being preserved. The funding requested would cover supplies needed to correctly process new records, and photographic equipment that will allow for the park to improve their ability to share information with researchers digitally and help protect fragile records from handling. 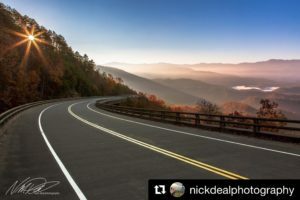 This funding will support the upkeep and maintenance of webcams at Clingmans Dome (May-Oct) and Newfound Gap (year-round) to provide daily images (every 15 minutes) as well as weather data for park staff and visitors. The weather data, including ambient temperature, relative humidity, precipitation, and snow depth, will provide timely information for park staff and visitors to help them prepare for travel in the park. View the park’s webcams here. 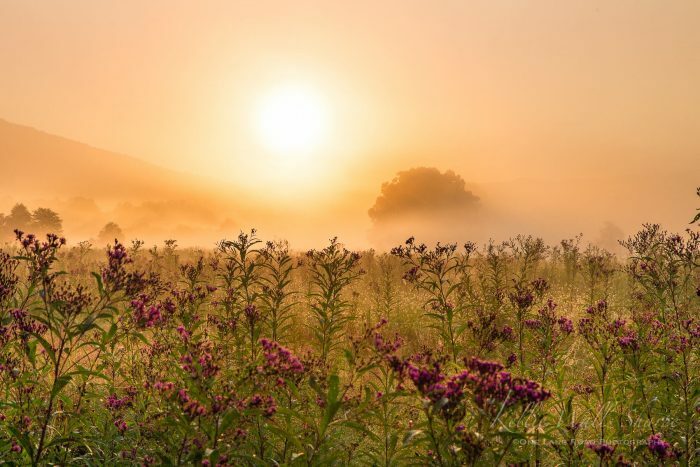 In order to continue already established, critical air quality and weather monitoring projects, these funds will support data validation, tech support, and certification of Cades Cove ozone/weather, Cove Mountain weather, and Clingmans Dome mercury monitoring. This project includes both research of the public records and a ground penetrating radar survey of the 19th century African American cemetery with an unknown number of burials. The information will be used to supplement an African American oral history project currently being conducted in nearby Waynesville, NC, and will improve the park’s ability to accurately interpret local African American communities. This tower is approximately 80 years old and part of the story of early park development. It is potentially eligible for the National Register of Historic Places. A professional engineer will evaluate the metal fire tower and help the park understand the cost of maintaining/preserving this tower, as well as identify safety concerns. Funds are requested to support a graduate student on a research assistantship at Tennessee Tech University for the first of two years. This project will provide guidance for the ongoing reintroduction of the native Blotchside Logperch into Abrams Creek and complements ongoing work funded by the Tennessee Valley Authority to investigate how to maintain a genetically robust, viable, self-sustaining population of this species that was extirpated in 1957. This funding will support 2 weeks of an American Conservation Experience (ACE) work crew to reduce the growth and buildup of woody species, including brambles and saplings that are growing in the fields at Purchase Knob. Many areas are too steep for mowers to safely access, and so crew members will use hand-loppers, string trimmers, and chainsaws to cut back the thick vegetation and assist in the field management program. One of the park-identified priorities of the ATBI is to fund certain taxonomic groups to expedite inventory completion. One of these groups is the microhymenoptera, which is comprised of very small parasitic and gall-making wasps, and is a subset of the larger insect order that includes bees, wasps, and ants. The park has many specimens that have been collected but not identified to the species level, primarily because taxonomists for this group are difficult to find. The park has confirmed a specialist is available to identify the current specimens, and to conduct more sampling in the park where they are likely to occur. This multi-year project will develop an accredited program designed to immerse college-aged youth in the natural and cultural resources of the park. Students will also explore how the park’s management, policy, and research strive to balance complex issues including tourism, carrying capacity, land development, climate change, air quality, biological diversity, and human ecology. Students will earn university credits through coursework designed in collaboration with their professors and taught by NPS adjunct faculty and resource managers. The coursework will include both classroom and field-based curriculum. Year 2 funding covers a coordinator position for the program so that curriculum can be tested and formalized, and formal agreements can be put in place. 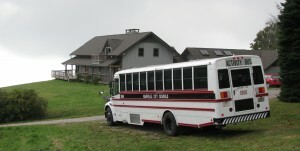 This year the park will fulfill Kathryn K. McNeil’s vision of funding an Education Specialist position at Purchase Knob. This new position for the park places an emphasis on working with NC schools and youth organizations. This nearly year-round position will be funded entirely through the Kathryn K. McNeil endowment. This funding directly supports research needs originating from the park. At times, issues and questions come up that need immediate response before traditional research funding may become available. Recent examples of projects include the green tree frog survey, wildlife disease and genetic work in Cades Cove. Funds to support a summer 2019 Teacher in Park position to assist with the high school intern program and summer Junior Ranger programs in NC. To fund a coordinator for an educational partnership between the park and Cherokee Middle School as well as introducing curriculum to all gateway community schools in NC through the development of educational trunk materials. The coordinator will develop, implement, and evaluate a planned curriculum used to educate children about the cultural and natural resources of the Smokies. 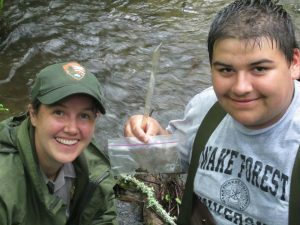 Through this project, park rangers will continue to work with high school science classes in the classroom. This funding will provide support for an ACE intern to work with SPiN coordinator and to provide citizen science materials for schools. Partnership with Montreat College to provide education programs. Funds will be used to help support an intern who will work the MYLES camp participants in the summer. This program will continue a unique partnership with the Boys and Girls Club of the Tennessee Valley and pays for staffing support and transportation for elementary aged youth in Knoxville to visit the park. Approximately 18,000 students every year in Tennessee and North Carolina receive curriculum-based environmental education opportunities through the Parks as Classroom program. These hands-on, ranger-led lessons utilizing the park as an enormous outdoor classroom help foster a love for nature and inform the next generation of park supporters. Similar to the project with the Boys and Girls Club in Knoxville, this program will continue a unique partnership with Asheville, NC Greenworks and their Youth Environmental Leadership Program (YELP). The program will work more intensively with park vegetation crew, trail crew and resource education to accomplish stewardship projects. This funding pays for staffing and transportation to the park from Asheville. Funds to support 3 high school interns in their work with the park. Some funds will be used for end of season “graduation” recognition ceremony. This is the kick-off to a three-year project to update and improve the quality and consistency of information available to visitors in park bulletin boards and waysides. Many of the current signs are out-of-date and in poor shape. Year one includes the inventory and evaluation of existing signage and initial recommendations for improvement. These funds support a workshop to develop new waysides that interpret the entire length of the soon-to-be-completed Foothills Parkway. Work on the waysides will be done in-house, but this funding pays the cost for a regional interpretive specialist to travel to the park and work directly with staff, as well as to complete a recommendation report. The park would like to host four community meetings in Swain county to work with residents and stakeholders to develop a vision and goals for future interpretive exhibits featuring the stories of the Northshore area. These funds will also pay for an interpretive consulting company to build on the work of the meetings and develop an exhibit plan. In partnership with the Cades Cove Preservation Association, the park is installing six new wayside exhibits to better interpret the area. These funds are requested as a contingency fund to ensure the project is completed this year. This grant-funded program includes two teacher workshops for 60 teachers in the summer and fall of 2019 with the teachers agreeing to use park education materials in their classrooms and/or bring their students to the park for field trips during the 2019-2020 school year. Additionally, four “Teacher in Parks” from Title 1 schools with assist with citizen science projects and Junior Ranger programs in the summer of 2019. Each year over 2,500 individuals contribute over 150,000 hours of volunteer service with VIP’s supporting virtually all phases of park operations. These funds allow us the opportunity to provide recognition to our year-round volunteers in the form of awards such as plaques, belt buckles, and certificates. Artists have played important part in the formation and establishment of our park. Early writers, photographers, painters, and musicians drew inspiration from these mountains and helped translate their purpose as a place of pleasure and preservation. An Artist-in-Residence supports the opportunity for an artist to live in the park and produce original works of art. In exchange, the artist agrees to donate a piece of work to the park. The requested funding pays the 2019 portion of housing costs for a year-long community engagement intern. This position works directly with the volunteer coordinator to conduct outreach to diverse audiences and increase volunteerism in the park through special projects. As part of the NPS Centennial campaign, the park received funds from the Washington Office to pay only the salary costs of the yearlong position, which runs through January 2019. This internship provides a better understanding of enterprise computer and software management by assisting the park’s IT staff in the mandated task of installing Windows 10 and other software on over 300 park computers by December 2018. It also introduces youth to career fields not often associated with land management agencies such as Administration. Funding from Friends of the Smokies maintains vault toilets in these popular areas for visitor convenience. Presently, the park maintenance crew grade and add gravel to the Greenbrier Road annually. With increased day use and all-terrain vehicles, the road is suffering from more potholes and movement of gravel. This request will allow additional grading work and gravel to improve the overall condition of the road and visitor experience. These critical funds will continue to support signature trail rehabilitation projects throughout the park. Monies provide for needed supplies and materials and six partial-year trail crew positions, as well as a full-time Trails Forever Volunteer Coordinator position that better enables us to engage volunteers of all ages in hands-on stewardship. 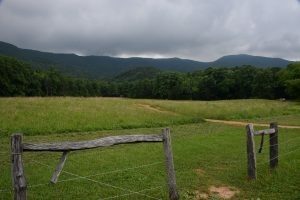 Over the last several years, park staff have repaired or replaced the most critical fences around Cades Cove. The park now has 44,000 feet of barbless barbwire fencing, 4,900 feet of locust worm fencing, and 3,200 feet of locust post and stacked rail fencing. These funds will help support 2 seasonal employees who will maintain these fences along with 13 cemeteries and 9 historic structures. Funding will pay for a service contract to perform grounds maintenance for one year. Funds will pay for significant upgrades and maintenance to historic and outdated comfort stations and associated facilities. Current bathroom fixtures and plumbing have exceeded their lifespan and frequently fail, resulting in closures that negatively impact park visitors. Locations to be upgraded include Chimneys, Collins Creek, Metcalf Bottoms, and Cades Cove Picnic Areas. The park is currently working with multiple partners and agencies to plan and host a series of events to celebrate the completion of the next segment of the Foothills Parkway. Funds will help pay for costs associated with the events in the fall of 2018, which may include a brunch, recreation and education days, transportation for event patrons, port-a-johns and other necessary celebration accoutrements. Volunteer-in-Park Bike Patrollers help Resource & Visitor Protection staff manage bike traffic, provide safety information, and assist in managing accident scenes. These funds will help replace safety uniform shirts, bike equipment, and safety gear. During the peak visitation periods for elk-viewing in the Cataloochee area of the park, a team of dedicated volunteers provides interpretive and safety information to park visitors to enhance their viewing experience while helping to preserve the natural behavior patterns of the elk herd. These funds help supply uniforms, educational materials, and supplies. These funds support an annual ginseng marking blitz. Thousands of ginseng roots have been marked through this program over the years. Market demands place heavy pressure on this resource from illegal harvesters who poach for profit. This is a very cost-effective way to assist in the deterrence and detection of commercial poaching of this resource at risk. 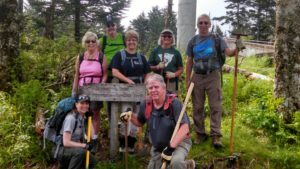 The Smokies recruits a series of retired law enforcement officers and their spouses to patrol Newfound Gap Road and Cades Cove, providing directions and visitor information, responding to disabled vehicles and lock-outs, and assisting with motor vehicle accidents and bear-related traffic jams. Their presence has substantially freed up the commissioned law enforcement rangers in the park, enabling them to respond more quickly to more serious law enforcement incidents. These funds support a seasonal ranger to oversee the new preventative search and rescue (PSAR) program. This program also includes a coordinated PSAR volunteer program to provide information at various trailheads where the park see a consistent number of SARs. The ranger and coordinated volunteers will provide valuable information to hikers about trail safety, trail difficulty, and educate hikers on proper preparation before beginning their hike. Funds will continue to support the Ridgerunner program. Ridgerunners perform the following vital tasks on the Appalachian Trail: check backcountry permits, educate Appalachian Trail hikers regarding park regulations and Leave No Trace ethics, remove a significant amount of abandoned property and trash from the trail and shelters, clean and maintain privies, perform trail maintenance, and submit weekly reports about the state of the trail and shelters. Building on a partnership with local equestrians that began in 2012, a group called the Smokies Master Educator’s Alliance (SMEA), lead by the park’s backcountry management specialist, has conducted annual trainings for group volunteers, NPS staff and members of the local horse community to support Leave No Trace awareness and training efforts among equestrians. This annual 2-day course fosters positive relationships with local horse owners and helps alleviate impact issues in the backcountry. Funding covers student materials and training equipment. A National Trails Day event has been held in the park for 22 years now, in partnership with the Appalachian Trail Conservancy and the Smoky Mountains Hiking Club. 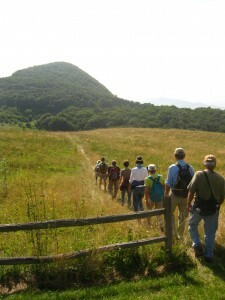 Approximately 100 volunteers are expected to participate this year in a project on the Appalachian Trail to foster stewardship and highlight the importance of volunteerism. Funds will pay for supplies and tools for the work project as well as supplies for the picnic gathering held at the end of the workday. The park is seeking to build a memorial on the grounds of the Headquarters complex to honor employees (past and future) who give their lives in the line of duty or in the service of others. The exact location and design have not been determined yet. The memorial will be completed with donated monies, but this funding will pay for design and other initial costs. This is a new award that will be used to directly benefit advanced leadership training and development for law enforcement staff. The award may also be used to purchase advanced rescue or law enforcement equipment. The scholarship, at the discretion of the Chief Ranger, will be recommended by field staff annually. The park’s technical rescue team is an interdisciplinary team that conducts multiple swift water and high angle rescues each year. Team members train together each month, but are generally limited to conditions available in park depending on the time of year. 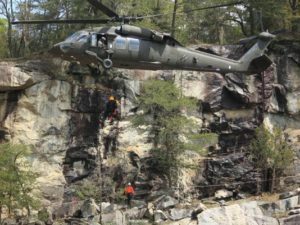 This project would allow the team to travel to the Nantahala Outdoor Center (NOC) or similar training site and earn advanced, official certifications under highly specialized training conditions. 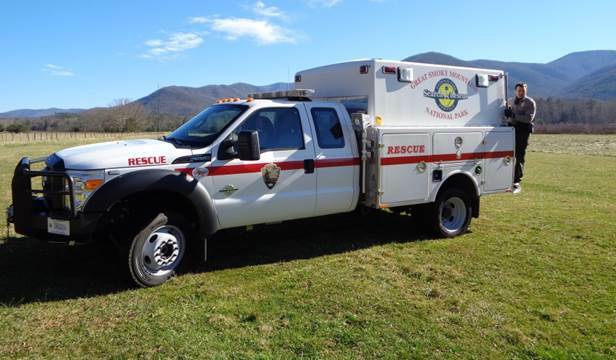 The park has an interdisciplinary basic search and rescue team that relies on employees from all divisions, including seasonal employees, volunteers, and interns. Basic safety equipment and personal protective equipment is needed to keep these rescuers safe as they help others. Items such as life jackets, leather gloves, ear and eye protection, reflective and high-visibility shirts, etc. are needed to sustain this program. Cameras provide Rangers with the ability to monitor targeted problem areas on a 24-hours basis, aiding in criminal prosecution. The cameras will be used to target resource violations, destruction and vandalism violations, money box theft cases, as well as auto burglary investigations (the park’s most common felony crime) and other criminal activity. Effective monitoring of any particular site should use a minimum of three cameras. Funding would provide for a year supply of mulch to be flown into the Pecks Corner area (and then packed by horseback to Tricorner Knob) to supply the backcountry privies in those locations. All work to prepare and stage the mulch will be done by volunteer labor from the Smoky Mountains Hiking Club. The mulch is essential to the proper functioning of the moldering privies to protect park resources in the backcountry and enhance visitor experiences. As part of the continued support to the park after the Chimney Tops 2 Fire in 2016, these funds will help in a variety of ways, including Search and Rescue equipment and “PSAR” materials related to the Chimney Tops trail hazards and closure areas, a Chimney Tops trail geological assessment, and continued hazard tree mitigation projects. This comprehensive project will improve both emergency and routine communications parkwide. Radios provide a critical link for law enforcement, emergency services, and search and rescue, as well as all other park operations. This project will replace radio units that are over 15 years old. 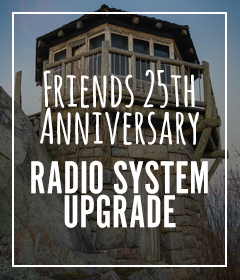 In addition, the extensive radio “repeater” system which allows communications to be broadcast throughout the park no matter what the terrain, will be upgraded as part of this project. Computer-aided dispatch (CAD) will be incorporated, which allows dispatchers to prioritize and record incident calls, identify the status and location of responders in the field, and effectively dispatch responders. CAD systems can interface with multiple agencies and jurisdictions, as well as the DOI records management system, to automatically populate reports, saving both dispatchers and field rangers a tremendous amount of time.